This set includes 4 unique shapes that provide endless textures and applications for your mixed-media projects. 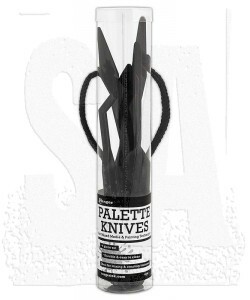 Each palette knife is a durable yet flexible one-piece molded plastic knife that is easy to use and clean. Use with our mediums, paints, and more. Palette knives come in a 4 pc. clear tube. 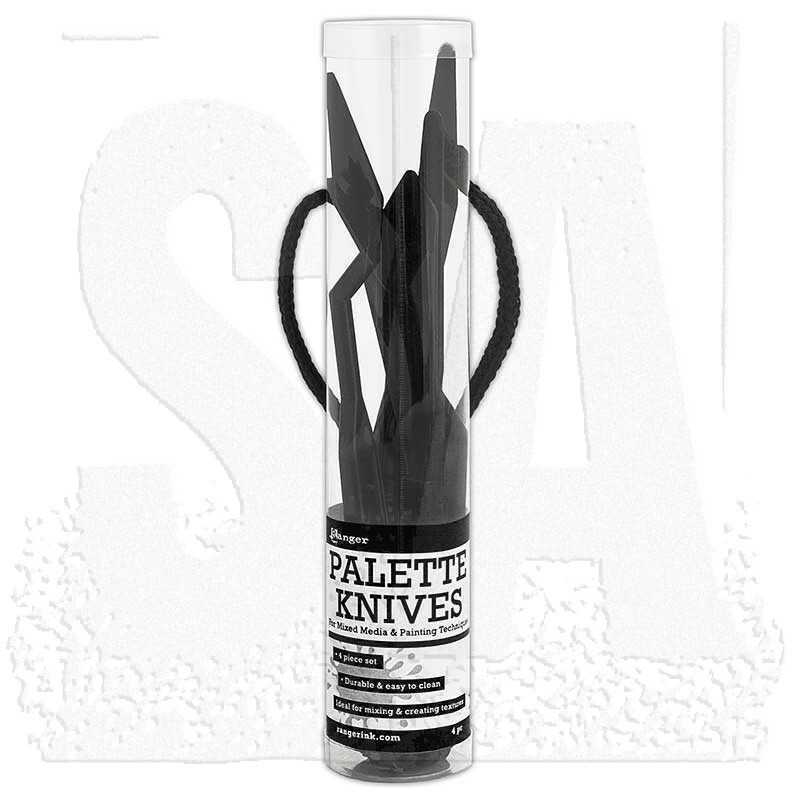 Set includes four flexible palette knives.